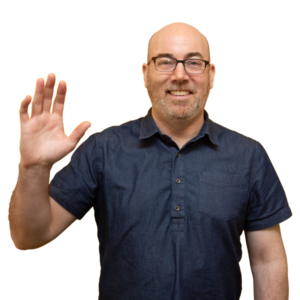 Tim joined the PSG team as a Senior Project Manager in 2018, bringing with him over 20 years of experience in educational publishing, product development, design and illustration. 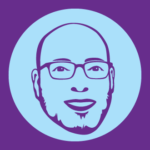 Tim has dedicated his career to collaborating with publishers, understanding their needs and creating products that engage learners of all ages. Tim earned his BFA in Illustration from the Rhode Island School of Design (RISD). Prior to joining the PSG team, Tim worked as an Illustrator, Designer and Art Director. He has collaborated with clients like Houghton Mifflin Harcourt; Pearson Education; Hyperion/Disney Publishing; Little, Brown and Company; and more. One of Tim’s favorite projects over the years was producing and illustrating the I See I Learn series, a 16-book series that helps pre-K children learn the social, health, and cognitive skills they need to prepare for school through simple stories and visual learning strategies. Whether hard at work at PSG or relaxing at home with his wife, daughter and recently rescued beagles, Tim is always eager to learn something new.